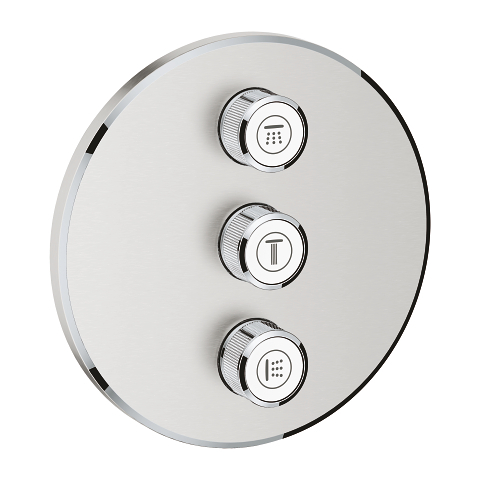 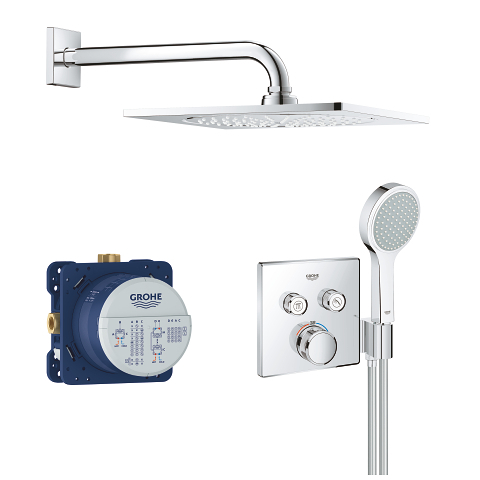 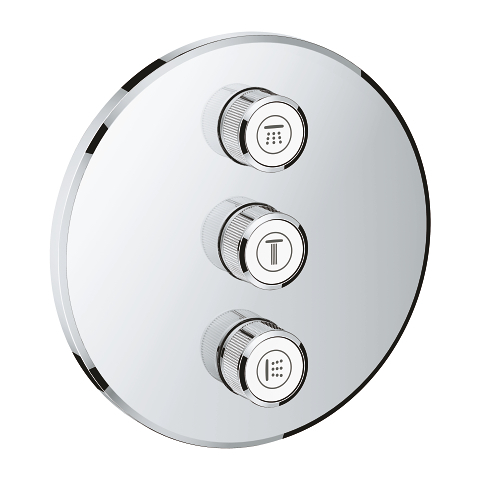 Transform your shower experience with a thermostatic shower set that offers different spray options, powerful performance and a slim, streamlined look. 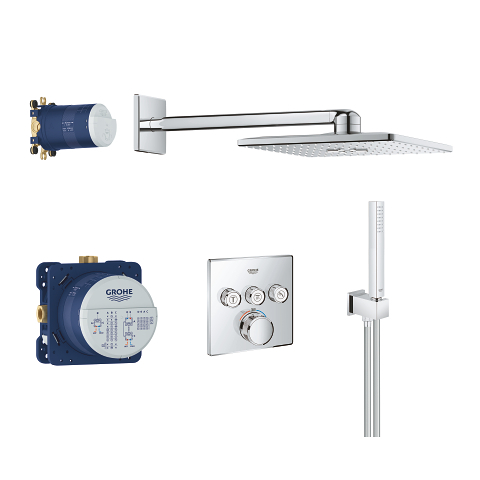 It contains a Grohtherm SmartControl thermostatic trim set with a slim, square shape, plus a GROHE Rapido SmartBox universal rough-in box for concealed installation, a Rainshower 310 SmartActive Cube head shower (including 400mm arm and rough-in box), a Euphoria Cube Stick hand shower with wall holder, plus a 1.500mm Silverflex twist-free shower hose. 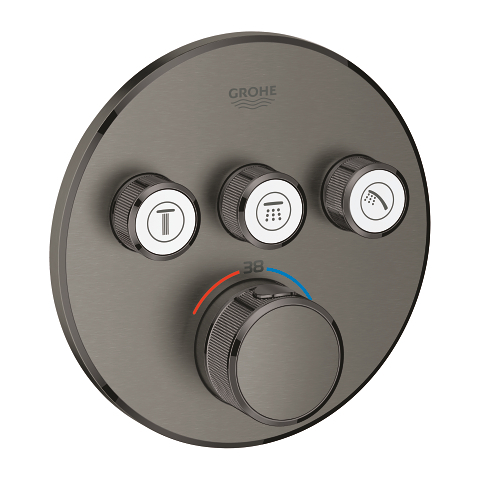 Select your desired spray source and water volume at the push-turn of a button with the intuitive SmartControl. 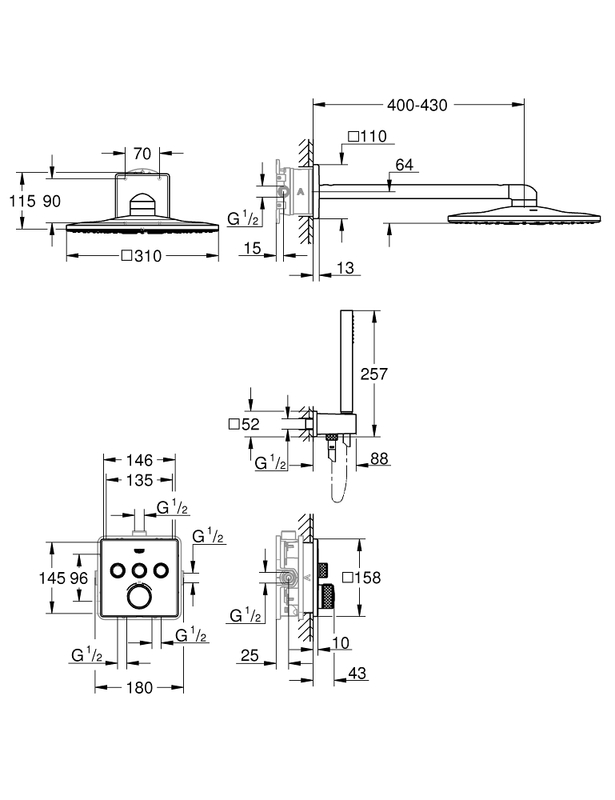 You can switch between or even combine different spray patterns of head and hand shower. 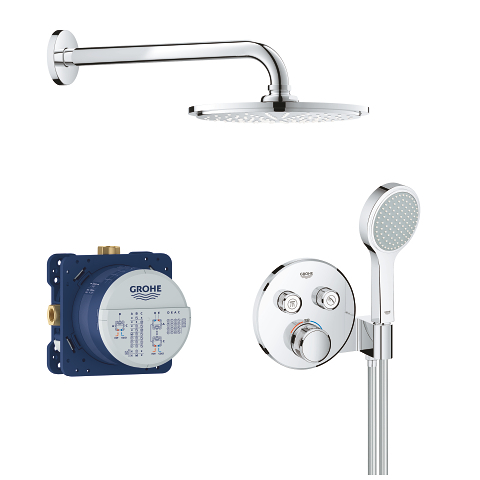 The head shower comes with two spray options that can be used separately or together – the gentle GROHE PureRain spray plus the powerful GROHE ActiveRain pattern, ideal for rinsing out shampoo or for an invigorating massage experience. 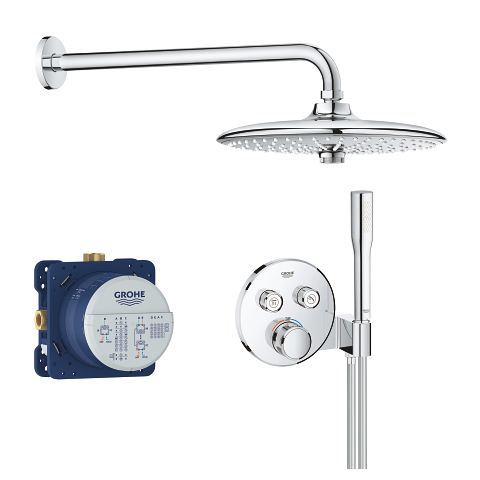 The hand shower comes with the versatile Normal spray. 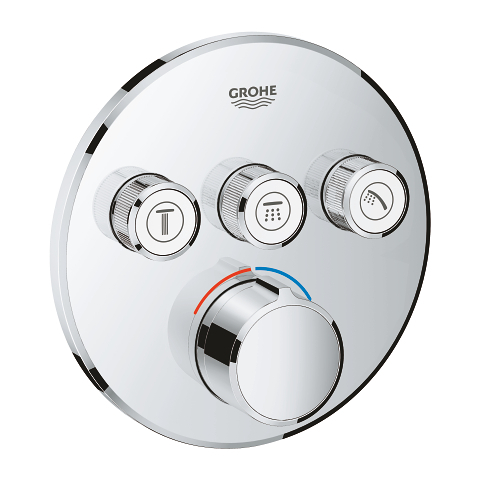 Enjoy a comfortable, even spray from every nozzle thanks to GROHE DreamSpray technology. 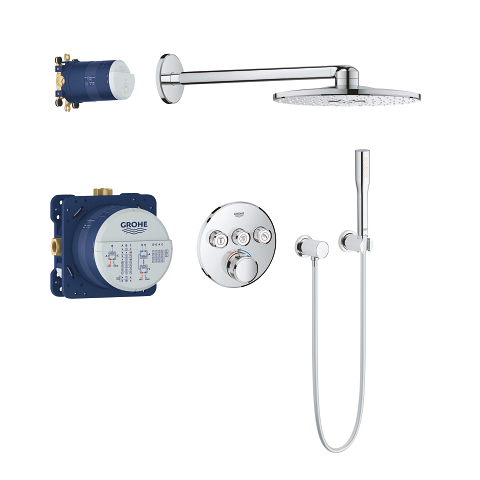 And when it comes to cleaning, SpeedClean silicone nozzles can be wiped free of limescale with a cloth or your finger. 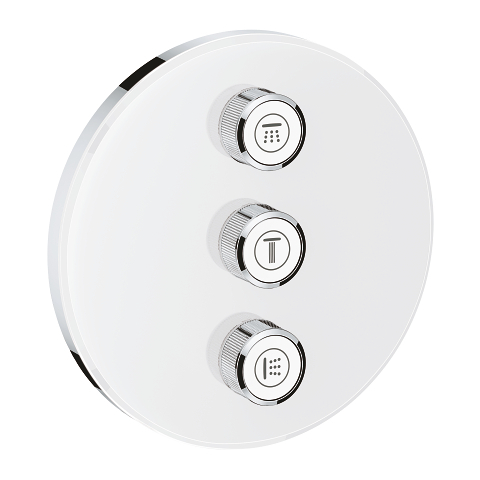 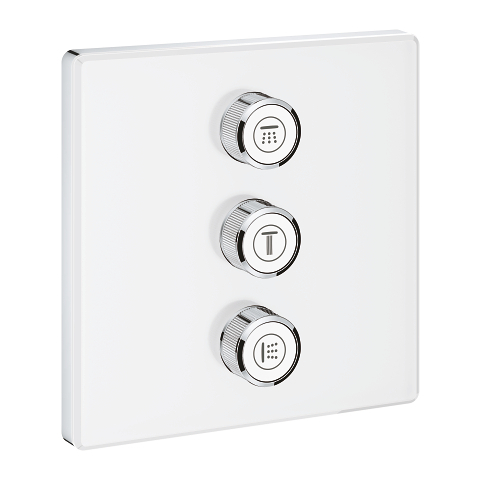 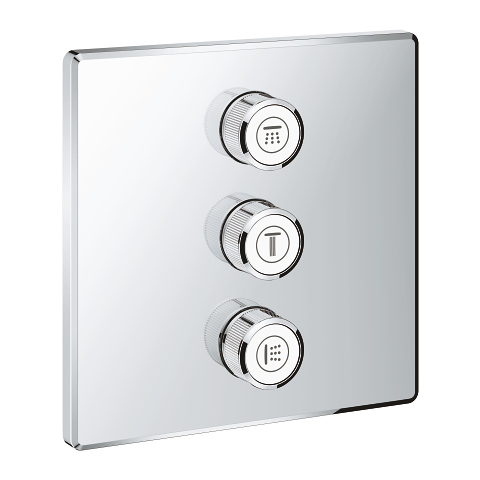 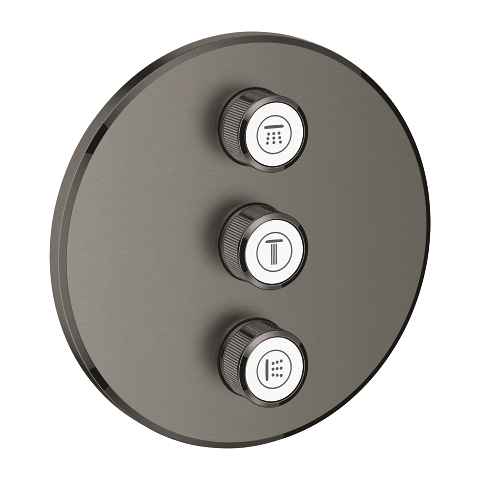 The appealing slim profile (14 mm wall plate, 43 mm total projection) is ideal for minimal, modern bathrooms. 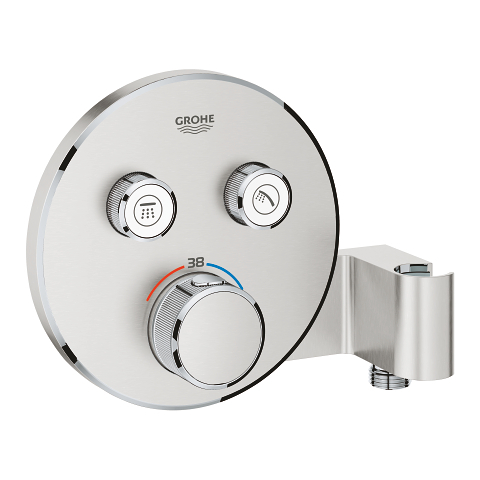 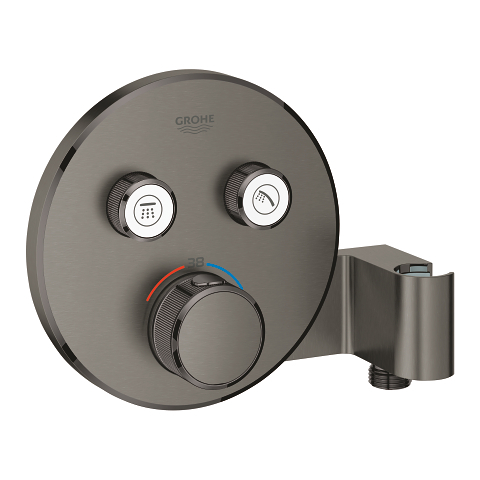 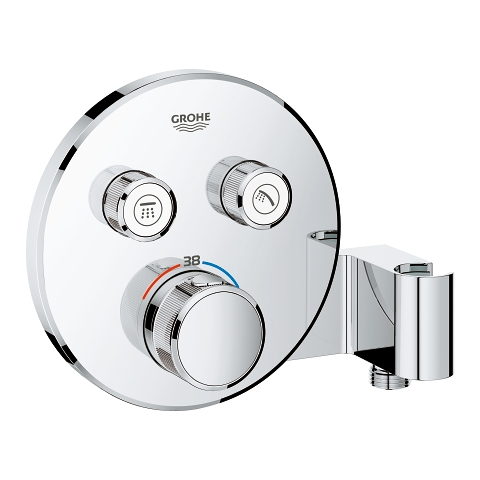 Installation is quick and simple thanks to the GROHE QuickFix metal escutcheon with a locking system and covered sealing. 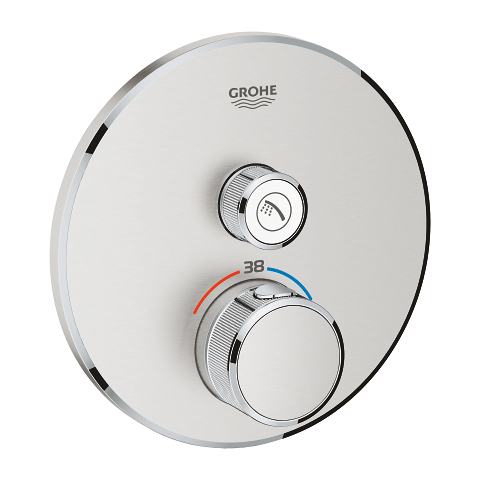 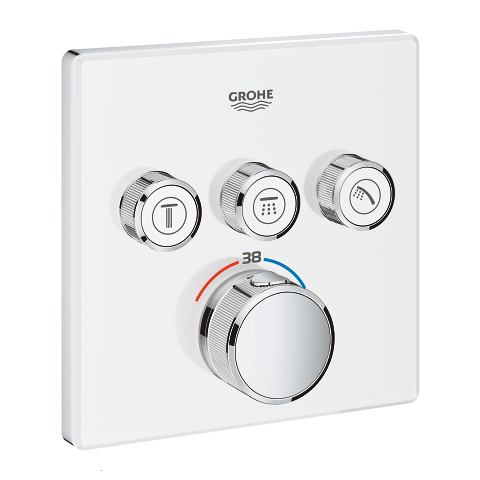 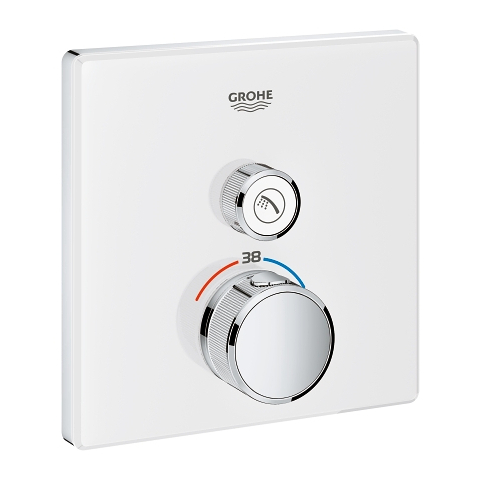 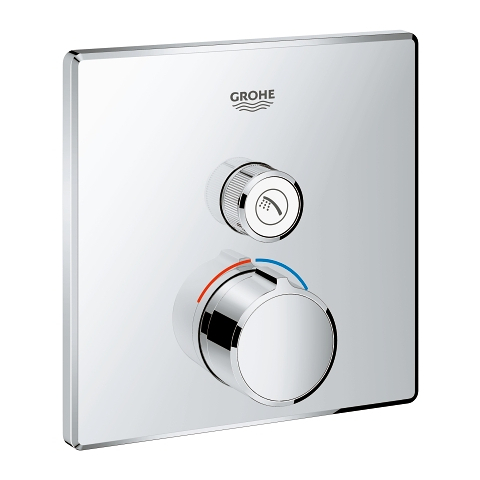 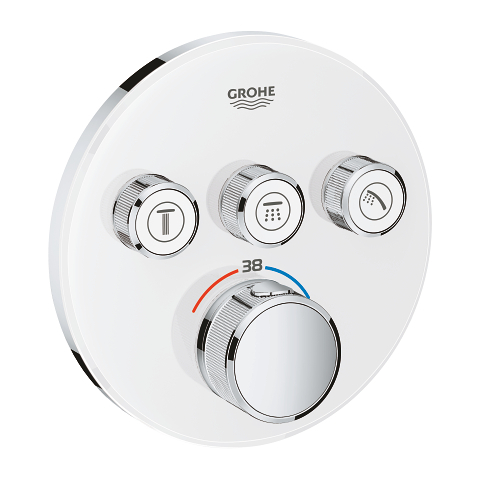 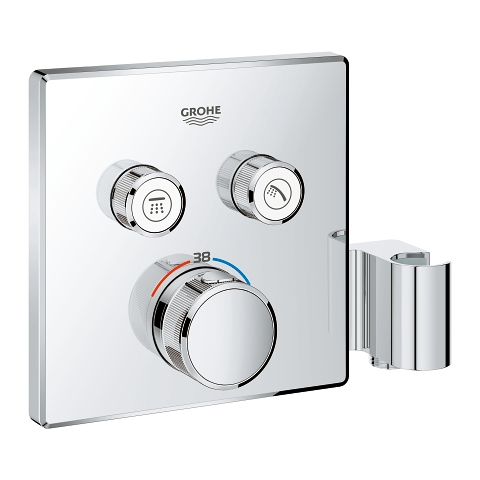 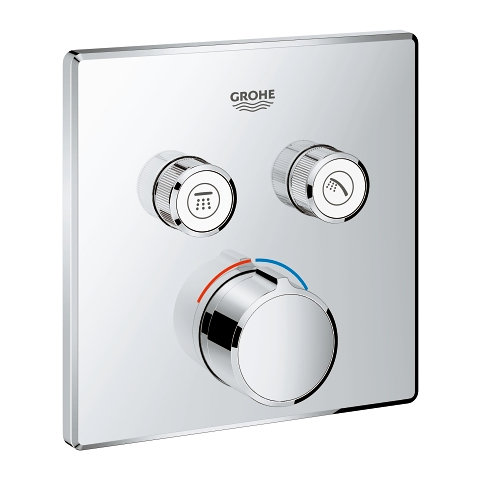 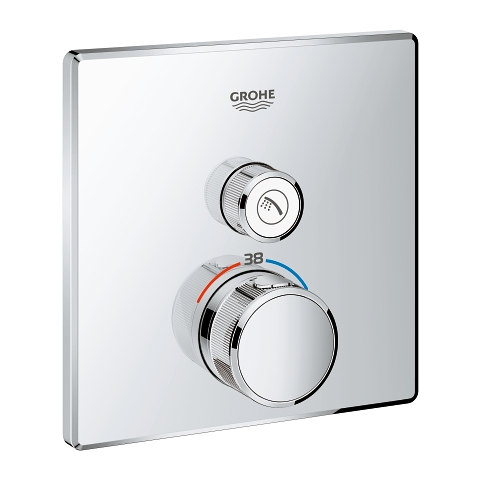 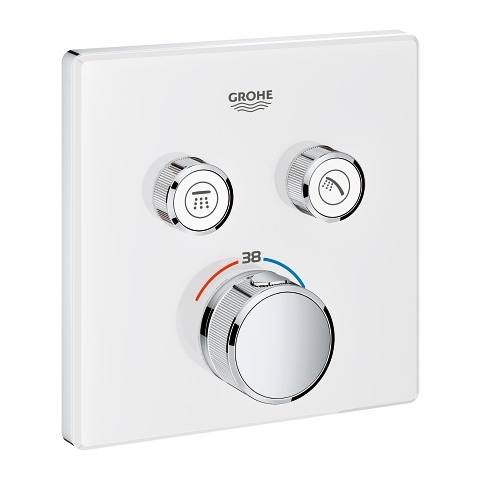 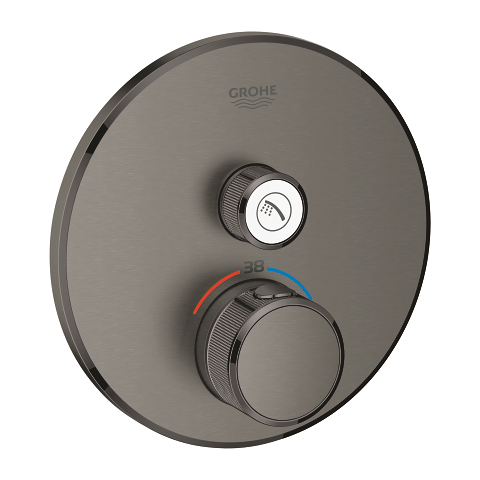 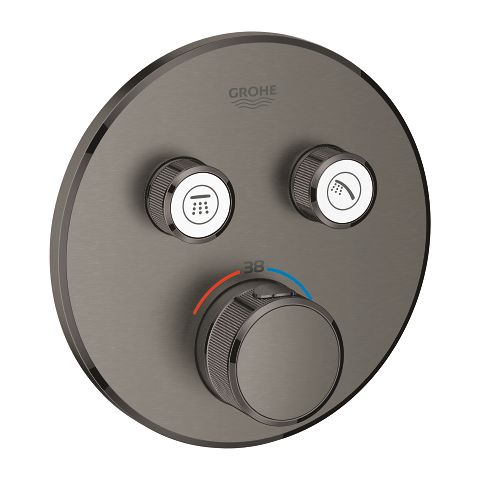 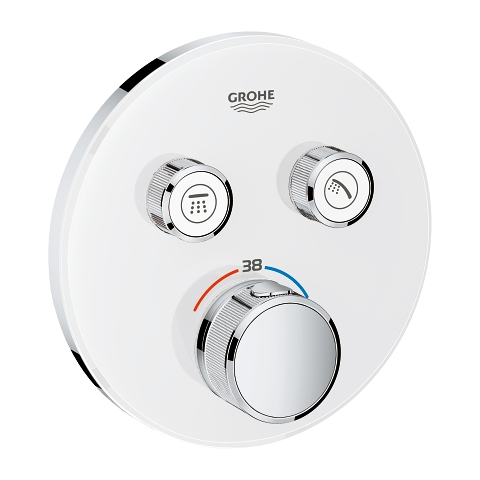 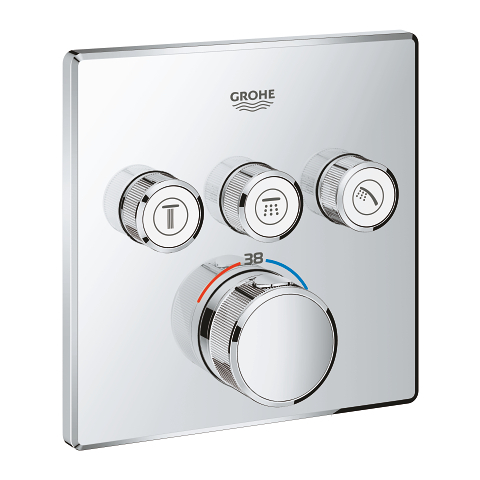 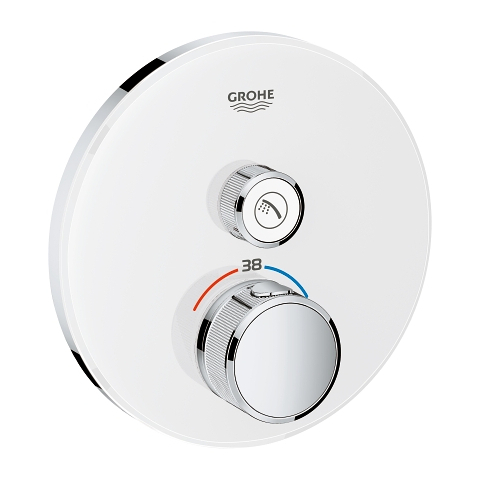 Rely on a constant flow of water at the ideal temperature with GROHE TurboStat and be assured that it is safe for the whole family - a GROHE SafeStop override button is set at 38°C to protect from scalding, while the GROHE SafeStop Plus optional temperature limiter lets you set a further limit of 43° C. The GROHE StarLight chrome finish will be pristine for years to come. And relax in the knowledge that this solution for concealed installation is 100% risk free!